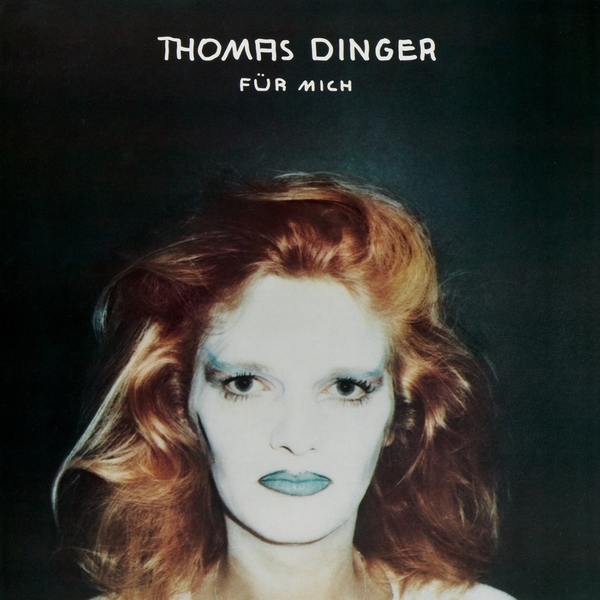 'Für Mich' was the first solo album by Thomas Dinger, sibling and bandmate of Klaus, after he left La Düsseldorf due to constant quarrels with his brother. He departed to the South of France and made a record for himself (Für Mich), escaping the 4/4 velocity of his legendary brother (drummer for Kraftwerk, Neu!) to explore more melancholic, pastoral and elegiac synth music themes in its six parts. Whilst there are comparisons to be made with his former band, especially in the 9 minute motorik drive of 'Für Dich', his own personality comes to the fore in the lonely interdimensional drift of 'E-605', and the twinkling closing pieces, 'Allee Walzer' and 'Fuur Euch', both written in 3/3 perhaps as riposte to his sibling's definitive meter.